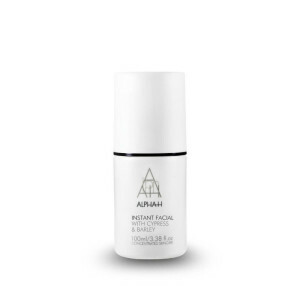 This skin perfecting anti-ageing day serum utilises a blend of resurfacing glycolic acid and softening organic sunflower sprout extract to help restore elasticity and reduce the damage caused by environmental stresses. Bronzing spheres burst on application, releasing a blend of natural pigments and light-reflecting particles. The skin is left silky soft, radiant and glowing. 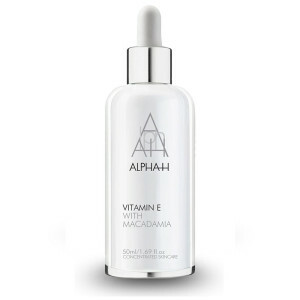 This skin perfecting anti-ageing day serum utilises a blend of resurfacing glycolic acid and softening organic sunflower sprout extract to help restore elasticity and reduce the damage caused by environmental stresses. Bronzing spheres burst on application, releasing a blend of natural pigments and light-reflecting particles. The skin is left silky soft, radiant and glowing. Aqua, butylene glycol, glycolic acid, methyl gluceth-20, hydrolysed jojoba esters, polyacrylate crosspolymer-6, coceth-7, ppg-1 peg-9 lauryl glycol ether, ammonium glycyrrhizate, mica barium sulphate, acrylates copolymer, silica, caprylic/capric triglyceride, palmitoyl, tripeptide-38, glycerin, hydroxypropyl cyclodextrin, phenoxyethanol, caprylyl glycol, polyquaternium-10, hyaluronic acid, potassium hydroxide, panthenol, lecithin, citrus paradisi fruit extract, citrus aurntium amara fruit extract, sodium ascorbate, tocopherol, helianthus annuus seed oil, peg-40 hydrogenated castor oil, davilla rugosa leaf extract, pentylene glycol, xanthan gum, algae extract, citric acid, ci77891, ci77499, ci77492, ci77491. Apply two pumps of product to freshly moisturised skin each morning. Blend over the face, neck and d_colletage, avoiding the eye and lip areas. Can also be applied before moisturising for additional skin lifting benefits.